After a long, cold winter, spring has arrived, check out these home maintenance tips! We have recently spoken with certified master inspectors with the American Society of Home Inspectors. The follow checklist for homeowners will help you target specific areas in need of regular maintenance, so you can spring into summer fun with no worries! Look for damaged and missing shingles, these will need to be replaced. 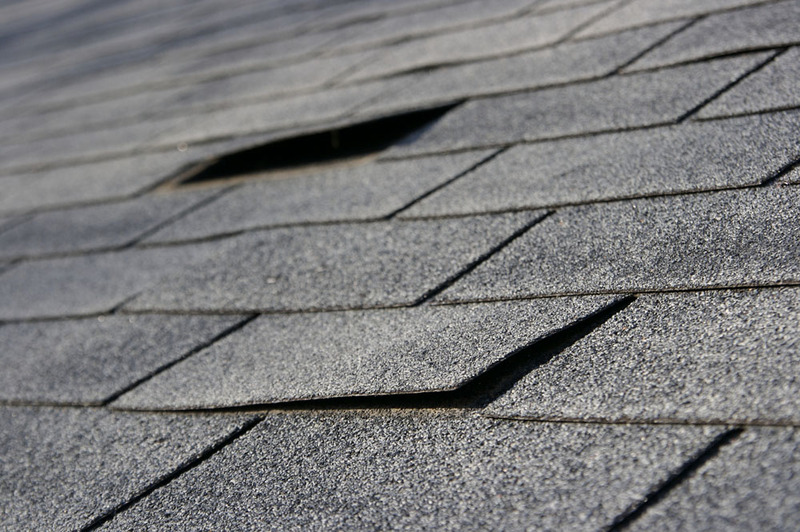 If you see any areas where shingles have shifted, you may need new fasteners. Check for build up of debris in valleys and for generally worn areas. If your home has an older roof now is the time to start a budget for replacement. The summer sun can be harsh on roof shingles, so planning your budget now can ensure that your roof is ready for next winter. 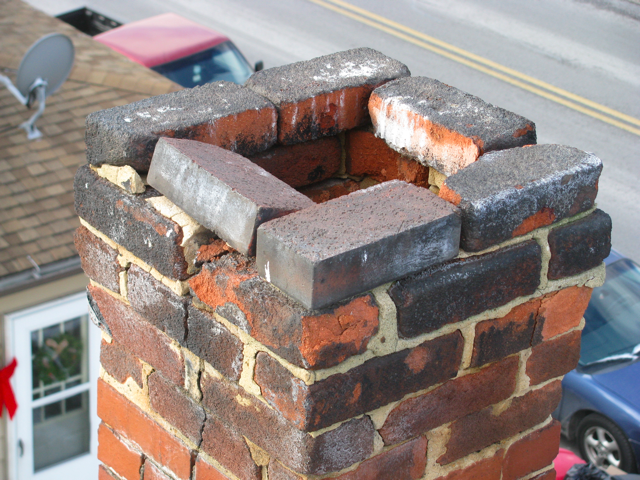 Check for missing bricks or vegetation growth, both can be signs of water infiltration. 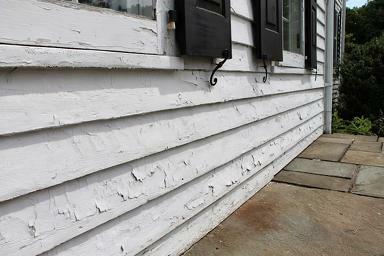 Another sign of trouble is efflorescence, a white calcium-like deposit. Whether you have stucco, brick or siding, now is a good time to check for damage. Make sure any trim or painted areas are still in good shape, if paint is chipping prep area and give a fresh coat of paint. A new coat of paint looks nice, but more importantly it provides a protective barrier from the rain and sun! Make sure to check near gutter downspouts and under eaves. 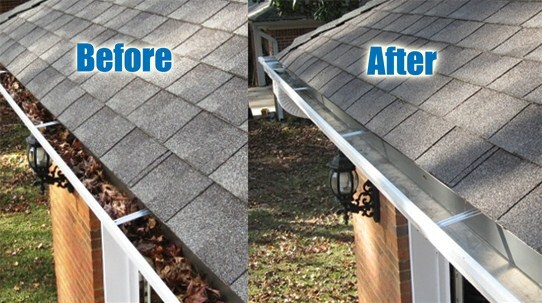 If you notice water stains this could indicate that your gutters aren't handling the roof runoff efficiently. Snow and ice can wreck havoc on gutters and downspouts. Check for loose gutters or gutters that leak. Make sure that downspouts are free and clear of debris and that they drain away from the foundation. Concrete slabs should be inspected for cracks and movement. Aside from pool decks, all exterior slabs should drain away from the homes foundation. Fill any cracks with a silicone caulk or concrete crack filler. Once the weather allows, power-wash and then seal the concrete. Poured concrete foundations should be treated differently. 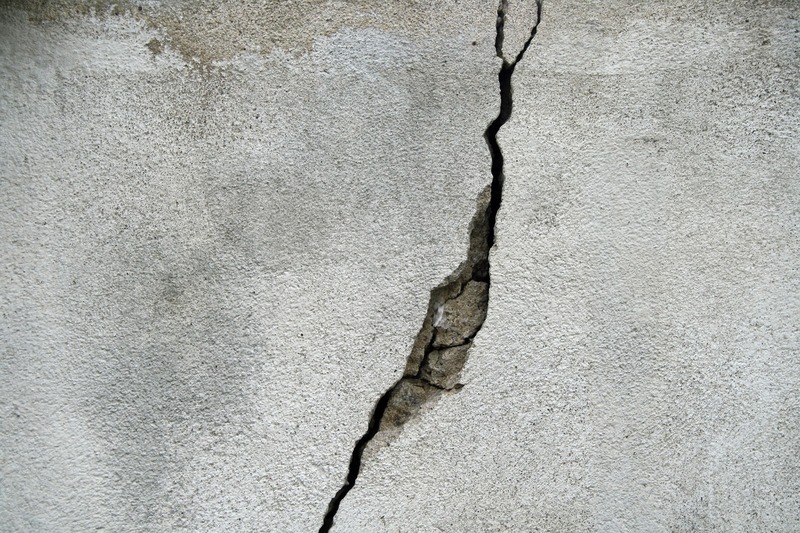 If you notice any cracks you will need to hire a foundation specialist. Routine caulking will not be sufficient, professionals will use a two-part system that will chemically bond the cracks. Now is also a great time to spring clean your windows and screens, both inside and outside! 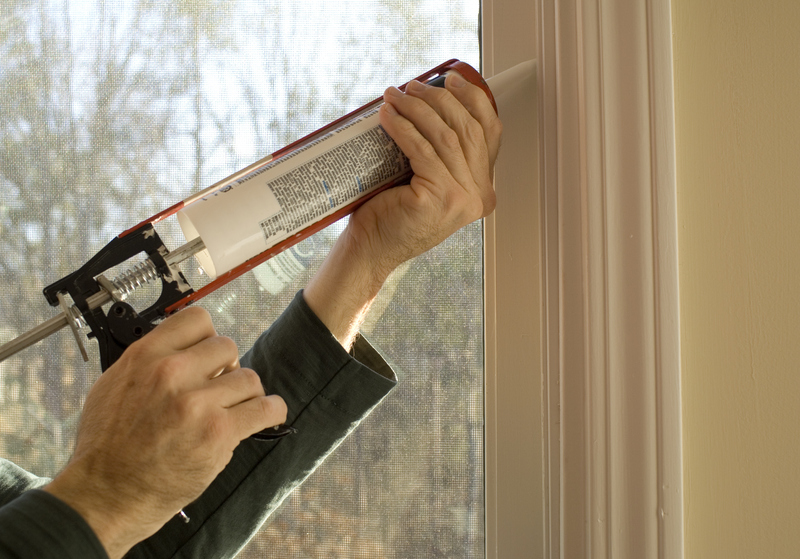 Check windows to ensure the caulking and weather striping has remained intact. This will prevent warm summer air from coming in and cooled air from escaping. If you have double- or triple-paned windows and are experiencing condensation, then the seal has been compromised. Use a store bought window cleaner for your windows (or a homemade cleaner - one cup water, one cup rubbing alcohol and one tablespoon of white wine vinegar - works great!). For your screens, use a mild detergent to clean them and make sure to inspect them for small holes that can easily be patched or may need replaced, lay them out on a dry surface (ex. driveway) to air-dry before putting them back on your windows. Remove any debris, leaves and branches. Make sure outdoor water systems are in working order; faucets, pipes and in-ground water sprinkler systems. Use compacted soil to fill low areas in the yard or next to the foundation to ensure water flows away from your foundation. Flooding in these areas can cause damage to your foundation and creates breeding ground for insects. If you use firewood, remove excess that is stored near the home. Firewood should be stored at least 2' from your home and at least 18" off of the ground. 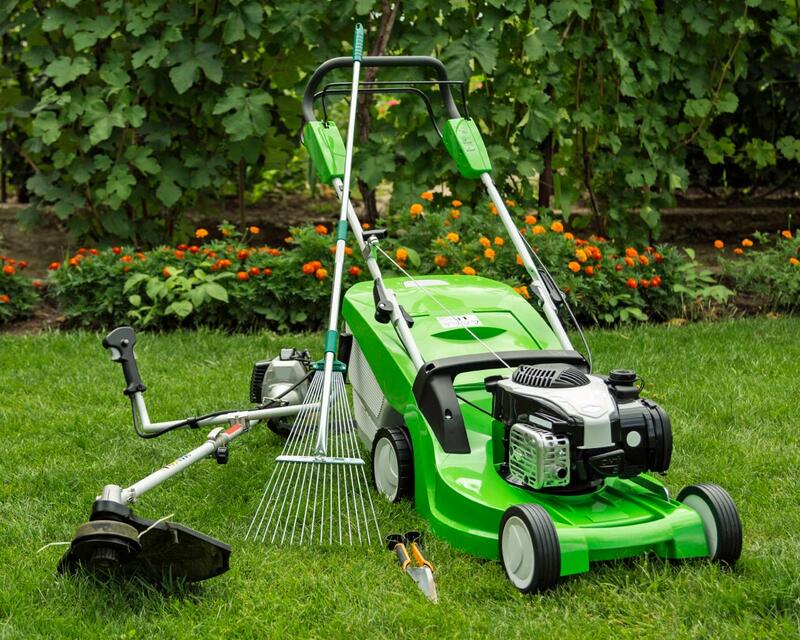 Start by taking stock of your garden tools, including lawn mowers, trimmers, leaf blowers and hoses. Check all gas and battery powered items to ensure they are ready for summer use. Sharpen blades and clean equipment, checking for items that may need replaced. It's time to bring out the lawn furniture! Check metal pieces for rust or paint erosion. Lightly sand any areas and give it a new coat of spray enamel to prevent further damage and give it a fresh look. If you don't use your gas grill during the winter months, it has been idle for a long stretch of time, check the burner jets for any obstructions or clogs. Be sure that all hoses and connections are secure. Make certain your grill is clean of grease residue, this is a good practice to adopt throughout the grilling season as well, not just at the start. Take time to inspect decks, fences, sheds and other outside surfaces. A pressure washer does a great job and makes it so much easier. If you don't own one, they can be rented at your local hardware stores for the day for a minimal cost. Once you have cleaned the surfaces you will be better able to detect damage. Also, once your wood deck and fencing are clean, now is a great time to add a protectant layer to them. Clean your dryer vent, the lint trap does not catch all of the lint. When lint builds up in the vent it causes your dryer to work harder and takes longer to dry your clothes, in addition to a clogged vent wasting money, it is a fire hazard! while you're behind the dryer, take a moment to check your washing machine hose for leaks or damage. If you notice any cracks that could soon become leaks go ahead and replace it, also check to make sure all connections are secure. Vacuum your refrigerator coils, you will find these either on the bottom or behind your refrigerator. If they are coated with dust then they are less efficient, which means a higher electric bill and shorter life span for your refrigerator. Clean the outside coils on your outside unit. 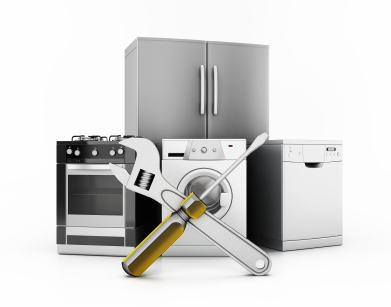 Again, just like with other appliances, build up causes your unit to work less efficiently, costing you more money each month on your electric bill and more money down the road due to the life of your unit being cut short. AC and furnace filters need changed on a regular basis. How often should they be changed? This is a tough question, because not all filters are created. The first place to start is your filter, they come with a recommended life span. Some additional factors to consider are....do you have allergies? Do you own pets? 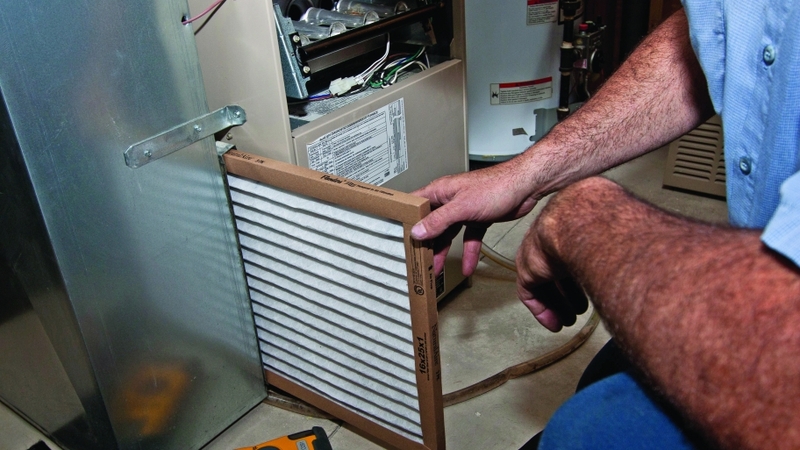 If so you may need to change your filters more frequently. One thing to remember when it comes to filters....cheaper isn't always a better deal. Many consumers want to buy the cheapest filter that fits their system, however this could actually cost you more in the long run. Filters vary in several ways, the material they are made with, pleated verses panel, thickness and other variations. A cheaper filter will definitely need replaced more often and may clog more easily causing your system to work less efficiently! This list may seem overwhelming as a whole. Some people prefer to knock it out all in one weekend so they can enjoy their other weekends, but the list can easily be broken down into several weekends if you prefer. Just make sure not to put it off, only to never get to it! It's important to keep in mind that these small steps taken on a regular basis can save you A LOT of money! These items, such as roof, appliances, outdoor furniture, etc. all have life SPANS. A little regular maintenance will help you maximize the life of each item, which will save you money in the long run and most importantly keep you and your family safer. Don't be afraid to get the entire family involved. Its important to show your kids how to take care of a home, they will thank you for it when they are home owners. As Millennials move their focus from renting to buying, there has been an increase in home buyers in recent years. 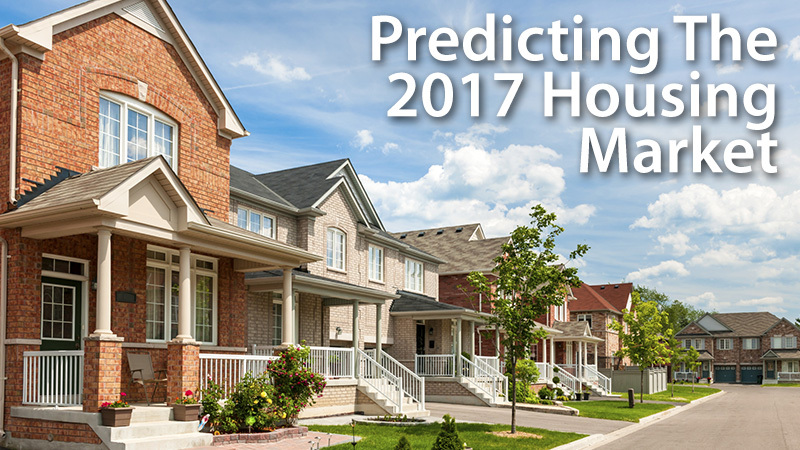 Although rates are projected to increase in 2017, they are only projected to slightly rise. This means now more than ever is a great time to buy as they will only continue to rise over the next year or so, and currently you can still get a great rate! Millennials are reaching the point in their life where they wrestle over the decision of continuing to rent or diving in and becoming a home owner. Rent prices are on the rise. As rent prices rise it is becoming increasingly affordable to take on a mortgage. Many renters are finding they are able to take on a mortgage for the same, or at times, a cheaper monthly payment! Low inventory will continue to be the trend for 2017, which makes it a great time for sellers. Homes are selling quicker and for a higher price due to this trend. It's more important then ever for buyers to have a real estate agent working for them. Real estate agents have access to homes right when they get on the market and many times before they hit the market, giving you the advantage of seeing and making an offer before a bidding war begins. As the market continues to recover, home prices are nearing pre-recession prices. Many sellers are finally able to recoup the home value that they lost during the recession. It's always best to work with a trusted real estate agent to best determine the listing price for your home. 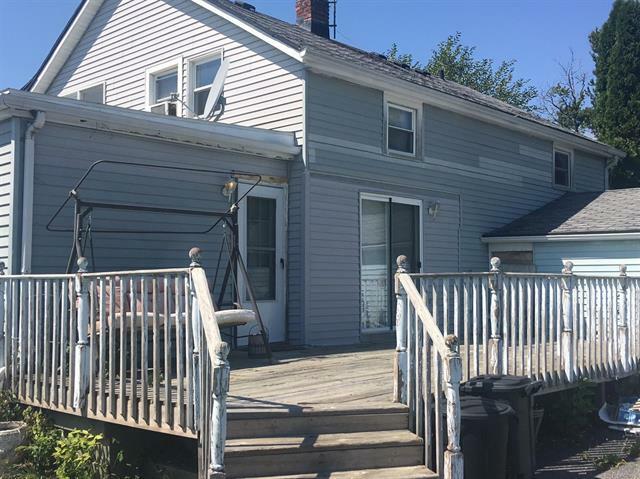 An experienced real estate agent has the knowledge and experience in your market and will be able to guide you to reach top dollar for your home. The market for 2017 is really at a stage that can work well for both sellers and buyers. Since rent prices are on the rise and mortgage rates are slowly increasing as well, now is a great time for renters to become home owners! with motivated buyers on the market and low inventory now is a great opportunity for sellers to get multiple offers on their home. If you are looking to buy, the first step is to consult an experienced real estate agent and get pre-approved for a mortgage. Sellers will want to consult with a real estate agent for expert advice on their home value and the current market!